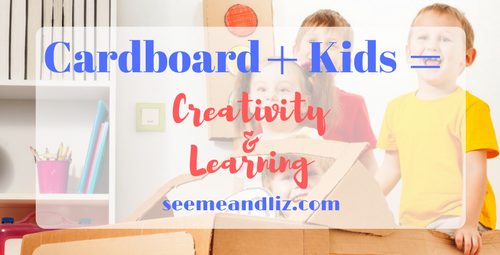 Cardboard & Kids Equals Creativity and Learning! 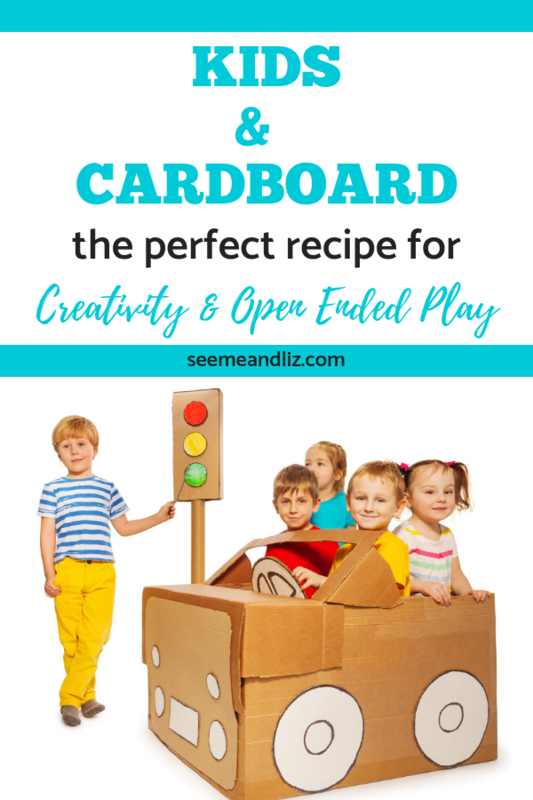 Seeme & Liz > Play Based Learning Articles (2-4 year olds) > Cardboard & Kids Equals Creativity and Learning! Isn’t it funny that with so many toys, gadgets and electronics on the market these days children still love playing with cardboard? This really shows that when it comes to child development and play, simplicity is often the key. When my children were about 5 and 7 years old they really started getting into creating with cardboard. They loved raiding the recycling bin for materials. They are now 9 and 11 and still do this from time to time. The appeal of playing with cardboard doesn’t seem to have a set age group. Children from the ages of 12 months to 8 years and perhaps even older still love cardboard. Below are some examples and suggestions of how children play with cardboard at various ages. explore the cardboard – if its a box, she may open and close it or turn in over and bang on it like a drum. If it’s just a piece of cardboard she may just explore it with her hands or mouth to see how it feels. flip a cardboard box upside down and hide toys underneath it. 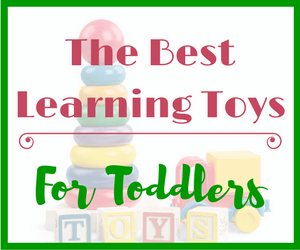 See if your little one watches you and tries to retrieve the toys. put “food” into the box and play restaurant (pretend to be delivering food to someone). coming up with more elaborate ideas, such as turning the cardboard box into a rocket-ship or even a teleporter (see explanation on this one below). Or make a dollhouse by adding rooms and levels. collect a few boxes and make your own play kitchen! 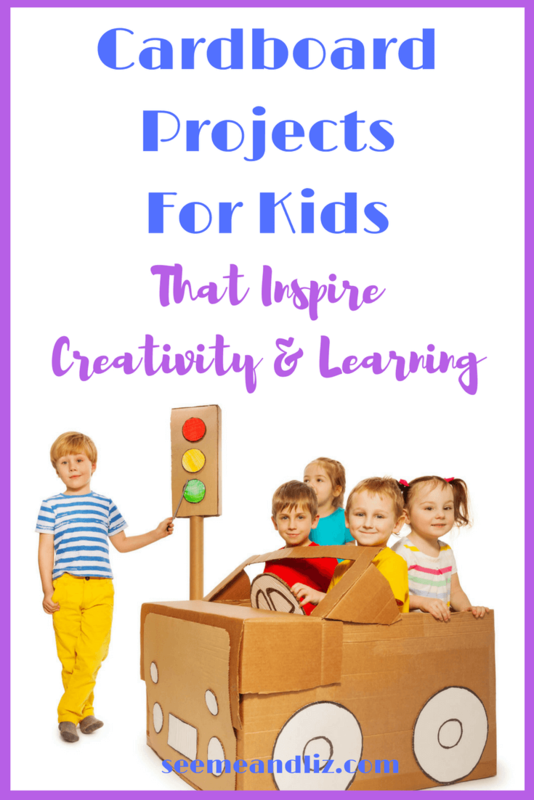 If you want to help your kids out with some cardboard projects but aren’t very creative, be sure to check out some of the great PDF cardboard templates from Reuse and Play! 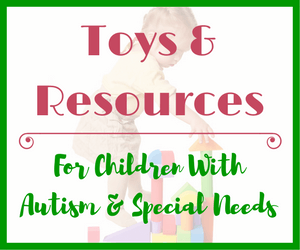 They have templates for all kinds of things from car ramps to cardboard suitcases! As you you can see children playing with cardboard never gets old. Keep in mind that the purpose behind playing with cardboard is very different at the various ages. A 12 month old does not have the fine motor skills or knowledge that a 6 year old would have. But, the same cardboard box will be engaging to both of these children. 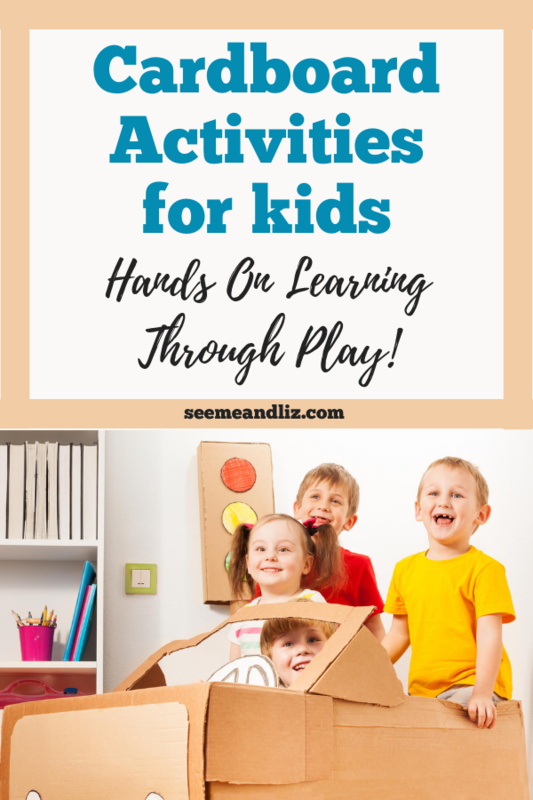 Cardboard activities for kids allow you as the parent to add language to something that your child is interested in. This is great because it means that you are following his lead, which is a crucial part of language development. For example when a 12 month old is trying to rip the cardboard you can narrate what he is doing and add some sounds/noises that he may imitate (e.g. “you are so strong”, “let’s rip the cardboard”, “weee”, “put it on your head”, “touch it to your toes”, etc). A 5 year old on the other hand has a greater vocabulary and understanding so your interactions would be much more advanced. You can use this time to introduce new vocabulary, e.g. “that cardboard is corrugated, that’s what you call these bumps”. For a 3 year old you can draw attention to adjectives and opposites by saying things like “your car is going so fast, be careful” or “let’s see if your car can go up the stairs and then back down”. My children love pretending and playing with cardboard. They will often run to the garage where we keep our recycling to see if there is any cardboard for them to use. I love seeing the things they come up with. 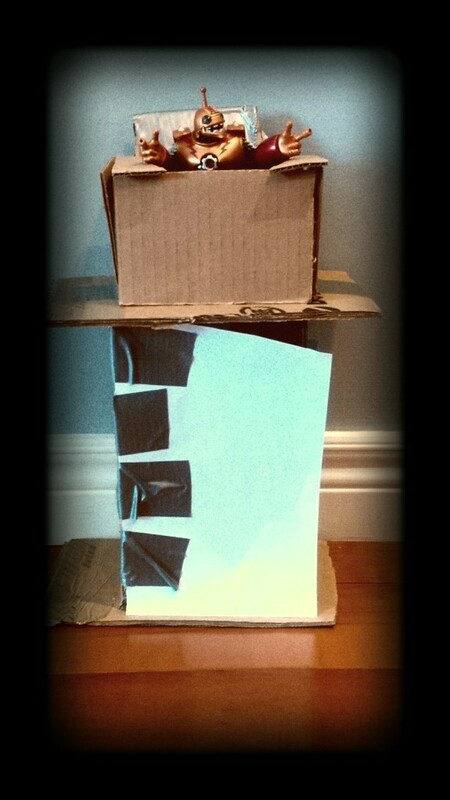 Here is my son’s “teleporter” that he made with cardboard, some paper and duct tape. He was around 5 at the time. If you are familiar with Skylanders, those are the figures you can see inside of the “teleporter”. Being only 5 years old, I did not expect him to use this word. So I asked him about it. His answer made me laugh! Me: J, can you tell me what a teleporter is? J: It’s a thing that takes you from one spot to a different spot really fast. Me: When did you learn that word? I never would have thought that Sponge Bob would be teaching my children vocabulary. That being said, I personally believe that screen time should be limited in a child’s early years. When a child is young, screen time should be supervised as well. 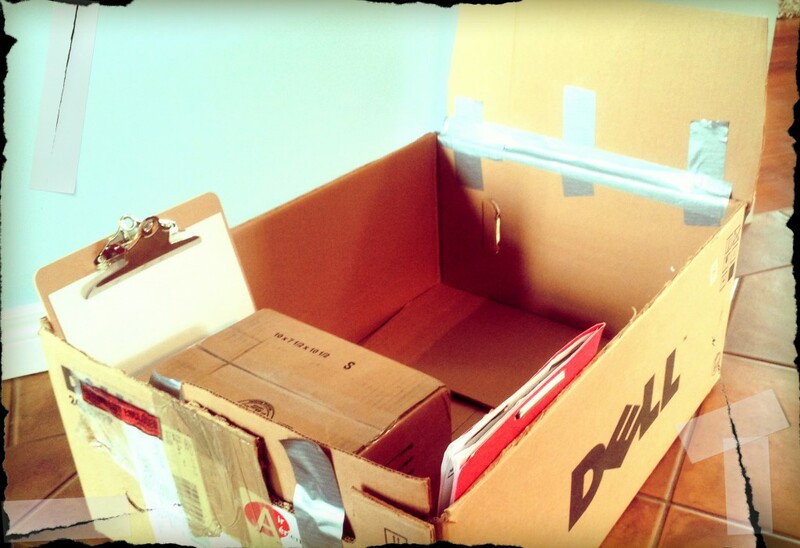 Here is my daughters cardboard creation (she was about 7 at the time): A portable office! I would love to hear what your children are coming up with! 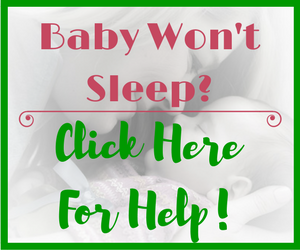 Please leave me a comment if you would like to share your stories. That sounds like so much fun! It’s great to hear that kids are still getting opportunities to play and use their imaginations. Your grandson will learn so much more from this kind of play than he will from YouTube videos (even “educational” ones). My father in law always tells the story of when he bought a new computer for the kids thinking they would love it. It turns out they played with the box it came in far more than they ever used the computer. I find this true with my little boy who is just over 12 months now. He likes to play with anything. Boxes are a delight for him though as he can do anything he likes with them. Haha Joe, I completely agree! Especially for younger children. The greatest gift would probably be a box within a box within a box and then the last box would contain tissue paper that they could destroy! 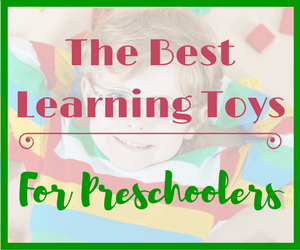 It’s amazing how the simplest toys, and least expensive ones, can give so much joy and pleasure to children. I believe there is a difference in playing and using imagination when playing. For instance you can play a game that has set rules (like monopoly) but when you play using your imagination (like using a carboard box as a telepoter) there are no limits and it’s much more fun. Yes Ana, you are right. Free play allows for much more imagination than a rule based game. However, rule based games do have their place, since society is based on rules and laws. Thank you for your insightful comment! 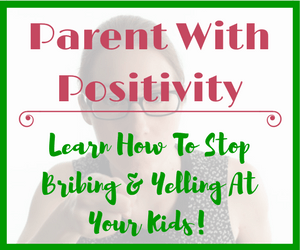 What a fun article! Thank you for sharing these great ideas! 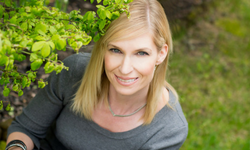 Totally loved your children creations… It makes me happy to hear that there is still some children who would really have fun with something so simple. Plus, they are developing their creativity much more than other kids. Very inspirational! Thanks Michelle! I sometimes need to convince my children to just play. My son loves any kind of screen. With so much technology these days its easy to see how traditional play is getting lost, which is very unfortunate. So much language development comes out of play. Buy your kids an expensive “toy” and they play with the box! I’m glad someone is promoting using your imagination instead of whatever new gadget is on the market. Very nice! Thanks Zoe! I love how allowing a child to play inspires imagination. And their imaginations often inspire their play!